Tom Dunne is not allowing major heart surgery to stop him from organizing – and performing at – the follow-up to last year’s hugely successful Feile Classical. 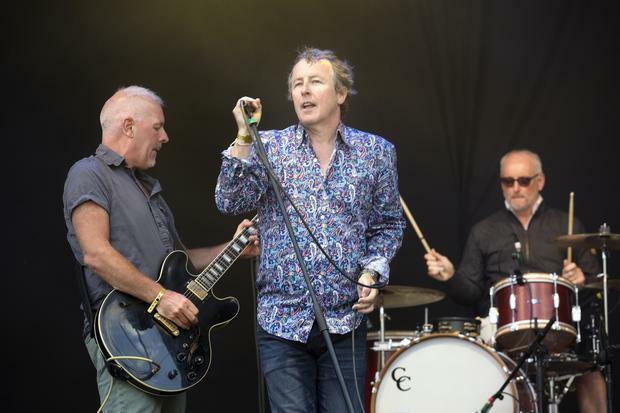 The Newstalk broadcaster, who has also fronted the band Something Happens for more than three decades, had surgery on a genetic heart condition just three months ago. Despite suffering from kidney failure during the operation and having to learn to walk again following surgery, Tom (58) has recovered extremely well. He says he had “no reservations” about taking on the two-day Thurles festival, which has been re-named Tipp Classical for 2019. Tom describes the recovery from heart surgery as “incredible” and says he even had the all clear to accept a gig with Something Happens in Dubai, which ultimately never came about. He will perform with the band at three or four festivals this summer prior to their stint at Tipp Classical, which takes place on Friday September 20 and Saturday September 21 at Semple Stadium and other locations across Thurles. Although the name of the event has changed, the 90s nostalgia vibe remains, with many of the artists and bands enjoying their heyday in that era. The line-up includes Sultans of Ping, The Stunning, Therapy? 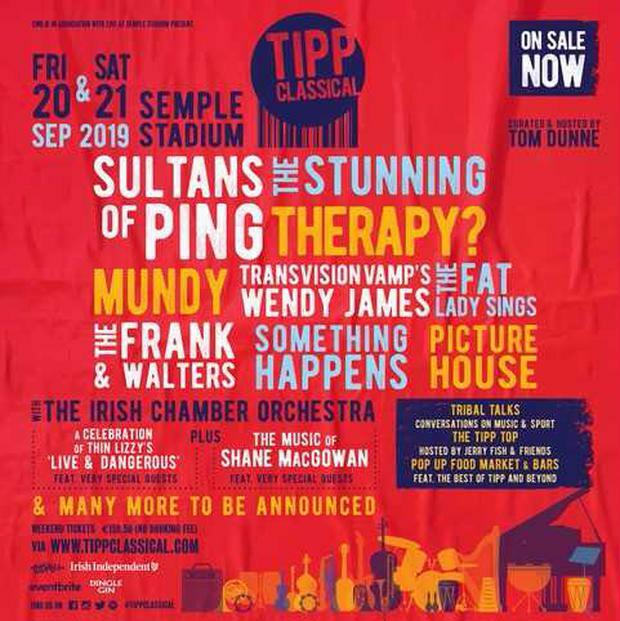 (in their first Thurles concert since 1994), Transvision Vamp’s Wendy James, Mundy, The Frank & Walters, Something Happens, Picture House, The Fat Lady Sings and Eleanor McEvoy. Tom had tried to secure Cork's Sultans of Ping for last year but they were unavailable. "I think 'Where's Me Jumper?' will sound unbelievable on that pitch," says Tom. All of the acts will perform with the Irish Chamber Orchestra and there will be some special collaborations too with Shane MacGowan and special guests performing with the orchestra as well as a celebration of Thin Lizzie’s Live and Dangerous album. “Last year was a surprise. I don’t think anyone realised how good it was going to be,” says Tom. “We all thought it was going to sound great but the first indication it was going to be something really special was when the orchestra did the intro to The Frank and Walters’ After All. It was just one of the greatest pieces of music I’ve ever heard in my life. “After that it was treat after treat after treat and it got more magical as the night wore on. The pitch invasion really helped with the magic on both nights. Tickets for Tipp Classical on sale now, €159.50 online from www.TippClassical.com and physical tickets from Lar Na Pairce, Thurles.